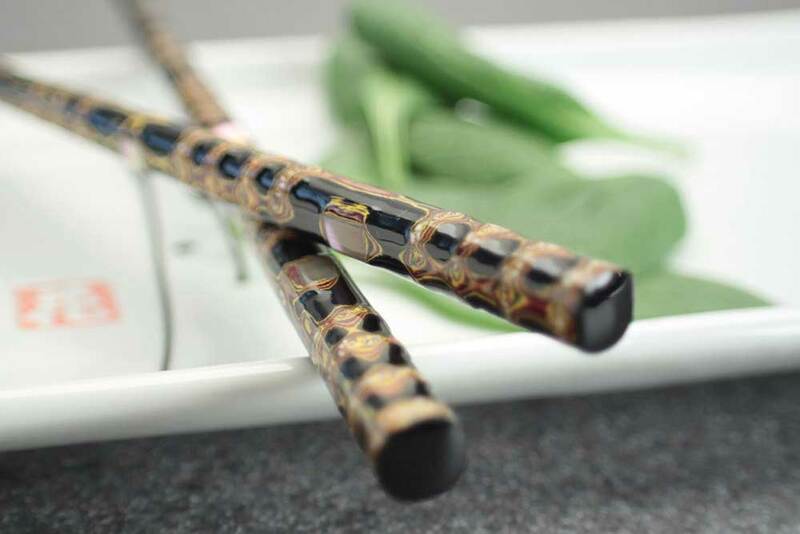 We have a new selection of Wakasa chopsticks. 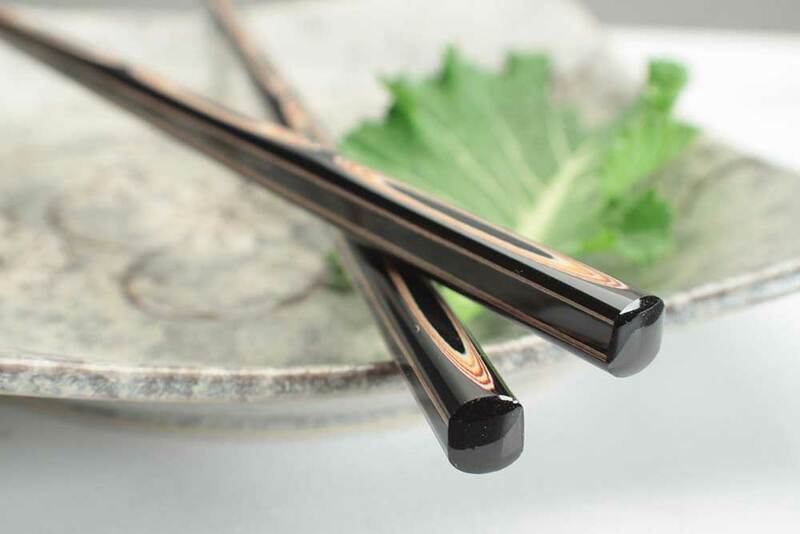 Elegant Wakasa chopsticks have been made in Fukui prefecture, Japan since the Edo period (1603-1868). 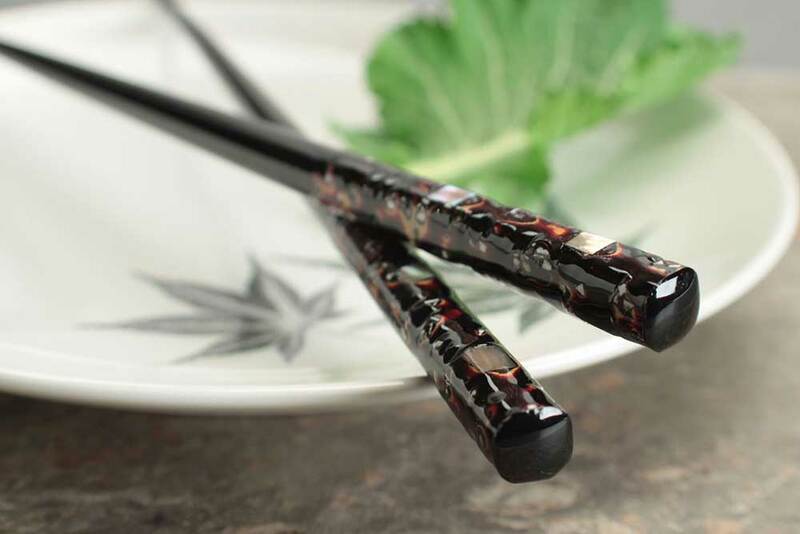 Craftsmen apply multiple layers of lacquer (as many as 50+) to each chopstick and may also incorporate small pieces of shell or mother of pearl. 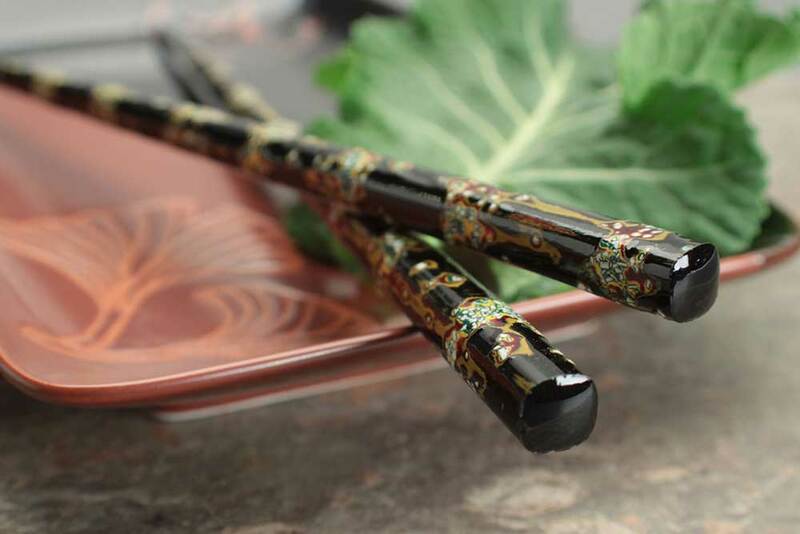 Frequently the lacquer coatings are carved in order to expose the layers. 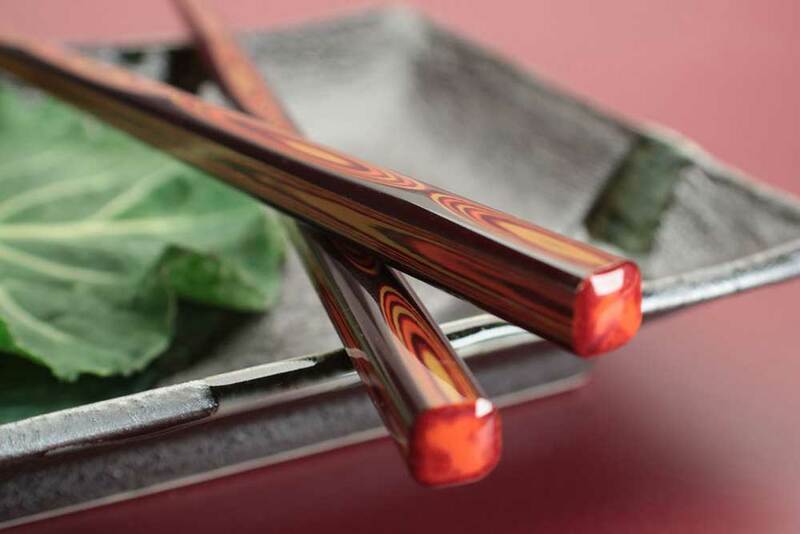 Carving also determines the final shape of the chopstick. 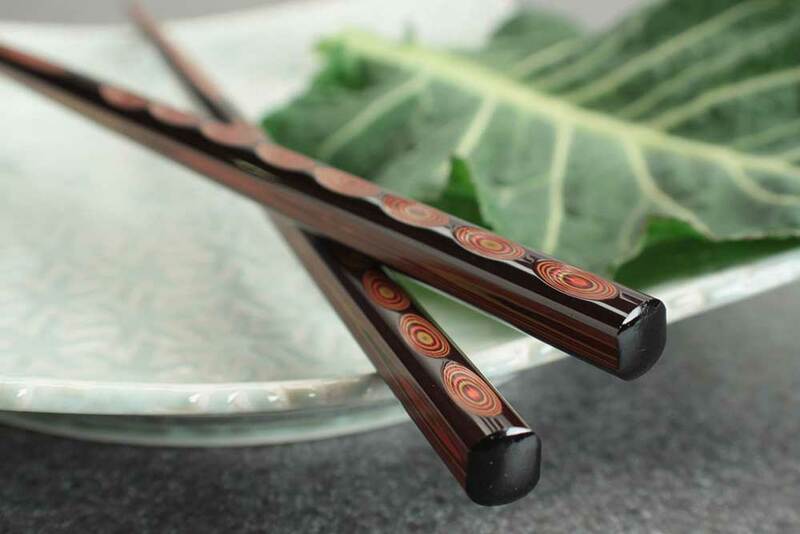 The chopstick is then polished to bring out the beauty and colors of the lacquering. 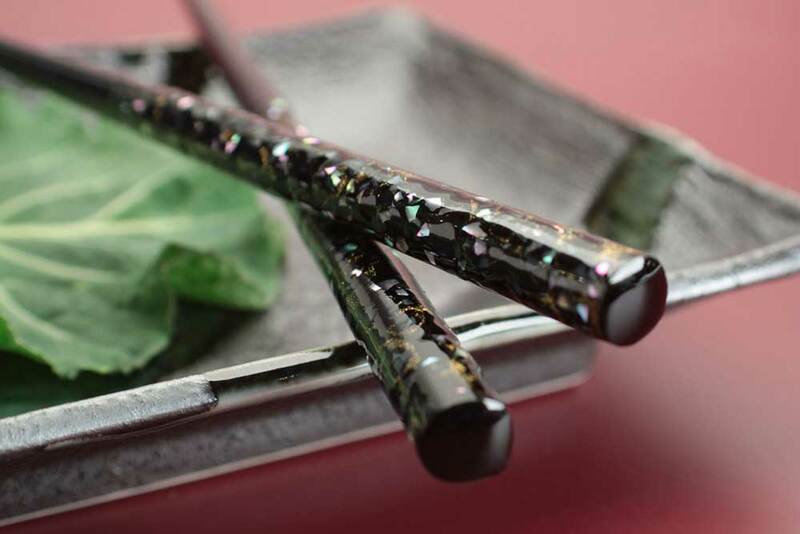 These painstaking processes take several weeks to a couple months to complete. 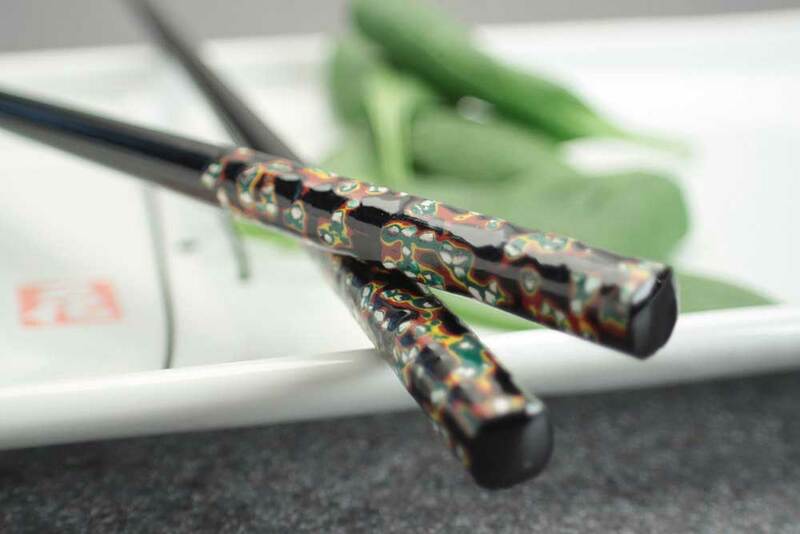 Truly every pair is a work of art.